→Can You Drink Coffee On a Keto Diet? 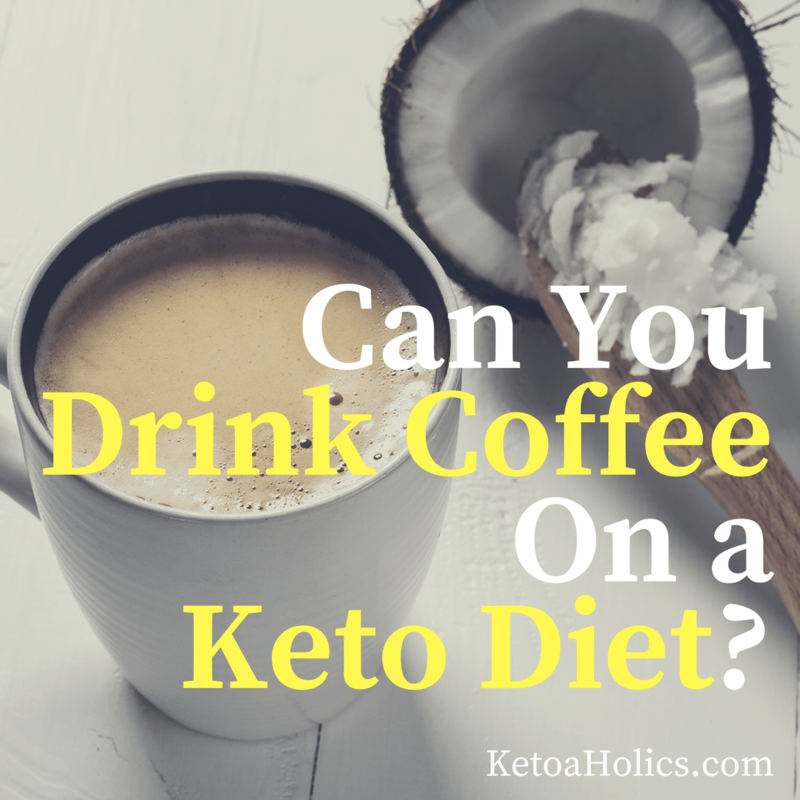 Can You Drink Coffee On a Keto Diet? The guidelines for a Ketogenic diet come with a number of dos and don’ts. If you are a beginner to ketosis, you must be hounded with loads of questions about what you can eat or drink and what you should not. It is understandable because a ketogenic diet is way different from your regular diet. So, the confusion is inevitable. 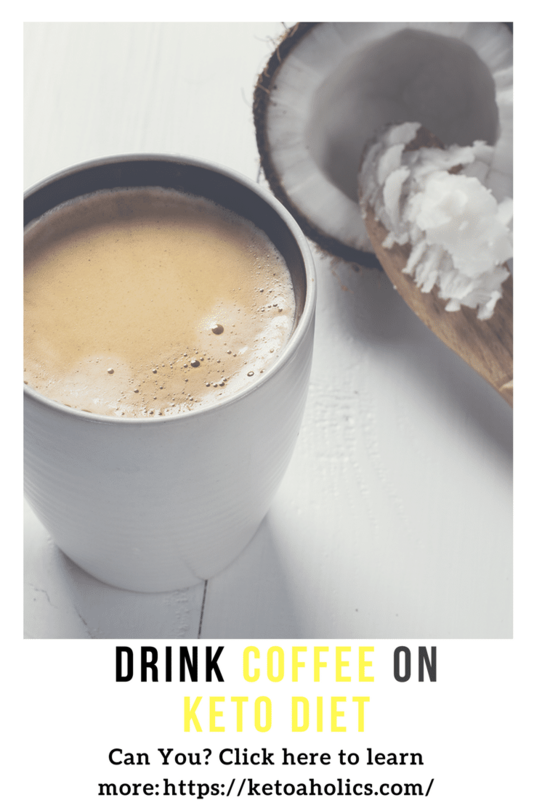 One of the most common concerns people planning to go into ketosis have is can you drink coffee on a keto diet. Most of you must already be aware that ketosis diet involves avoiding carbs in all forms. The diet consists of a high amount of healthy fats and a moderate amount of proteins. But, what about coffee? In which category does it exactly fall? Carb? Proteins? Or fats? Should I drink coffee or no? There are several such questions that need to be answered with an honest overview before you can start your keto diet. Read on to find answers to all your concerns related to is coffee ok on ketogenic diet. Can You Drink Coffee on a Low Carb Diet? Coffee, though often labeled as a temporary stimulant, provides many health benefits. It contains caffeine that can improve your attention span, mood, and concentration. If consumed in the right way, it can help you derive more benefits from your ketosis diet. Let me reveal some ways by which including coffee in your ketosis diet could help get into ketosis faster. The very purpose of getting into ketosis is to promote fat loss from your body. Drinking coffee can help you get closer to your goal with its ability to stimulate the metabolic rate. Caffeine promotes the rate at which fats are burnt in your body. Caffeine also suppresses your appetite, thus allowing you to avoid carbs. So, the answer to can you drink coffee on a keto diet is in affirmative. This will help you stay focused on your keto diet by reducing the urge to eat desserts and other carbohydrate-rich foods. This will help you shed more pounds in a shorter duration. If you are worried thinking can you drink coffee on a keto diet, you would be glad to learn that caffeine in coffee may actually boost the production of ketones. The ketogenic effect of caffeine has been proven during research. It works by supporting the process of lipolysis or breakdown of fats, which are, later, converted into ketone bodies. This property of coffee would not just help you to get into ketosis faster but also reduce your risk of Alzheimer’s disease. Since Ketones are the primary alternative fuel for the brain when the body is deprived of carbs, they offer a potential approach for compensating for the reduction of glucose levels in the brain during a low carb keto diet. This can help to support the functions of the brain and reduce the symptoms of Alzheimer’s disease. These are reasons enough to ally your concerns about is coffee ok on ketogenic diet. Hence, drinking a cup of coffee for breakfast is recommended to stimulate the ketone production and raise the levels of free fatty acids in the plasma. Drinking coffee can provide a few other benefits that would help you to get into ketosis. For example; most people tend to feel tired and weak when they stop eating carbs while on a ketosis diet. Coffee can serve as a perfect stimulant and help you feel refreshed in spite of not eating carbs. Similarly, drinking coffee may also prevent the psychological symptoms you might experience such as irritability, anger, and frustration during a keto diet. These symptoms tend to worsen due to a lower intake of carbs. Caffeine has the ability to stimulate the production of dopamine in your nervous system. This can improve your mood and prevent irritability during a ketogenic diet. However, you must exercise caution regarding the number of cups of coffee you consume in a day. An excessive intake of caffeine may increase your risk of certain symptoms such as caffeine dependence, anxiety, and insomnia. Hence earning how much coffee is safe during a keto diet is as important as learning can you drink coffee on a low carb diet. How much Coffee You can Drink in a day While on a Keto Diet? You should just drink as much coffee in a day that would boost your metabolism, keep you feeling fresh and improve your food, without causing the undesirable side effects. It is estimated that about one to four cups of coffee a day can help you manage this balance. You can increase or decrease your intake of coffee depending on how strong it is or how it’s made. Here are some recommendations to maximize the benefits and minimize the side effects of drinking coffee while on a keto diet. Drinking coffee with a tablespoon of heavy cream with or without a sugar-free sweetener can provide about 0 to 2 grams of carb. This is considered an ideal choice for the people on a keto diet. You can add unsweetened coconut or almond milk as a sweetener. This will help you stay on track with your keto diet, thanks to the low-carb, and high-fat content of coconut and the rich protein content of almonds. Avoid “Light” drinks made with non-fat milk and high-carb sweeteners such as Mocha. Try Keto-Friendly, Decaf coffee Options. You can limit your intake of caffeine by switching to the keto-friendly decaf options such as chicory coffee, and dandelion coffee. For most of us, coffee is a part of our daily life. Caffeine in this beverage has been shown to offer several benefits. It can increase your metabolism, improve physical performance, enhance alertness, and prevent fatigue. Keeping in mind these benefits, the answer to can you drink coffee on a keto diet would be yes. However, you must ensure your caffeine intake doesn’t exceed the recommended amount per day. Following the tips given above will help you maximize the benefits of a keto diet and caffeine in a safe manner.